Well done to a group of our Sixth Form students who have delivered a poignant and reflective presentation on the subject of the Holocaust. Chloe Eley, Emmie Guppy, Kurtis Pope and Rares Turcu have been taking part in the 'Lessons from Auschwitz' project, during which time they have met with Holocaust survivor Steven Frank and visited the site of Auschwitz-Birkenau. 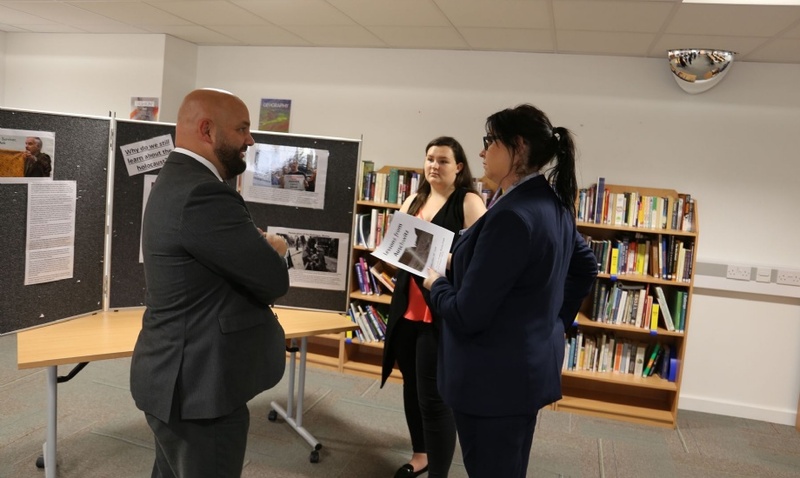 To share their experiences and to raise awareness with others, the group invited parents, students and members of staff to a presentation and discussion forum at the Upper Academy Library. The students also emphasised the need to remember the victims, not as a figure of 6 million, but as the individuals that they were before the holocaust; ordinary people with hopes and ambitions. Also to remember the perpetrators, not as monsters, but also as ordinary people. “I am so incredibly proud of all of the students involved in the project. They have taken full grasp of this opportunity and worked very hard to ensure they can pass on the lessons they have learnt about how and why we remember the Holocaust.” Mrs Thomas - Teacher of History.